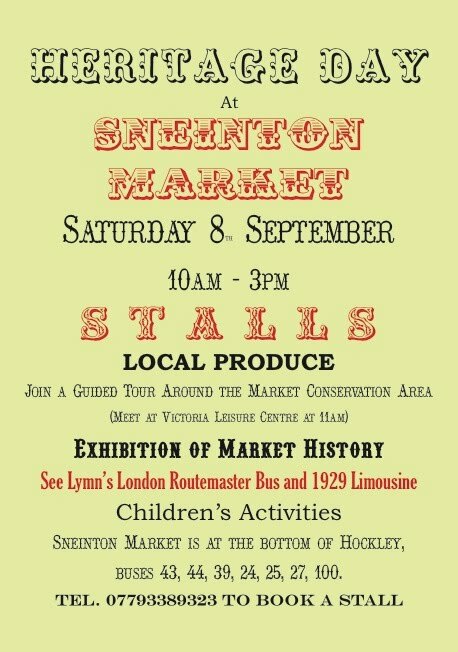 Sneinton is playing its part in Heritage Open Day 2012 with a special heritage day at Sneinton Market on Saturday 8th September from 10am to 3pm. Lots on- see poster for details. Then on Sunday 9th September Sneinton Alchemy will be opening The Hermitage Caves on Sneinton Hermitage between 2 and 4pm. This is the caves one opening during 2012, and in the past the fascinating tours have been over subscribed so come early. For more details click here. Our local landmark Greens Mill will also be involved: David Bent, miller at Green’s Mill for over 25 years, will talk about the mill restoration and lead tours (for 16+ years) on Saturday and Sunday 8th and 9th September at 2.30pm. For more details click here. A stone’s throw from the mill, the newly refurbished William Booth Birthplace Museum at Notintone Place, Sneinton Road, will be open on the Thursday, Friday and Saturday from 9.30am – 4pm and on the Sunday from 9.30am – 11.30am. For more information click here.